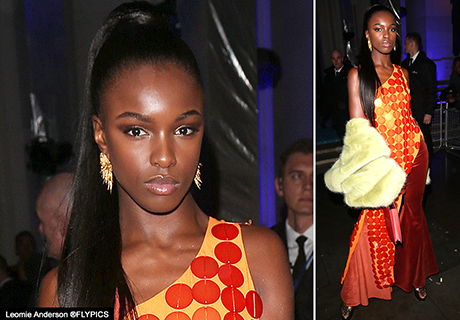 Leomie Anderson looked picture perfect stepping out at the Brit Awards in London. Wearing a fab House Of Holland design Leomie rocked body confidence in an outfit that commanded attention. International model Leomie has recently returned from modelling for Victoria Secrets and is midway through Fashion Weeks International schedule. 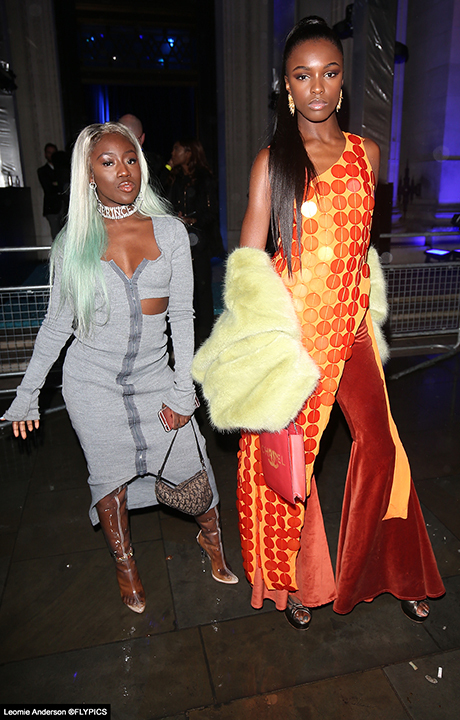 Stepping out at the Brit Awards after-party Leomie looked fabulous wearing House Of Holland enhanced by this super-stylish coat by Emma Brewin and styled by Coline Bach. Leomie is pictured with rising star – recording artist Bree Runway. South London raised model Leomie is not just a pretty face she also has a head for business. Using her profile Leomie is passionate about raising awareness on issues that are of concern specifically inequality and diversity. Leomie has effectively used her profile to empower through the art of fashion. Established in 2016 by Leomie Anderson, LAPP or LAPP The Brand was created to embody the 21st century girl and producing clothes that represent not only their style but their issues. 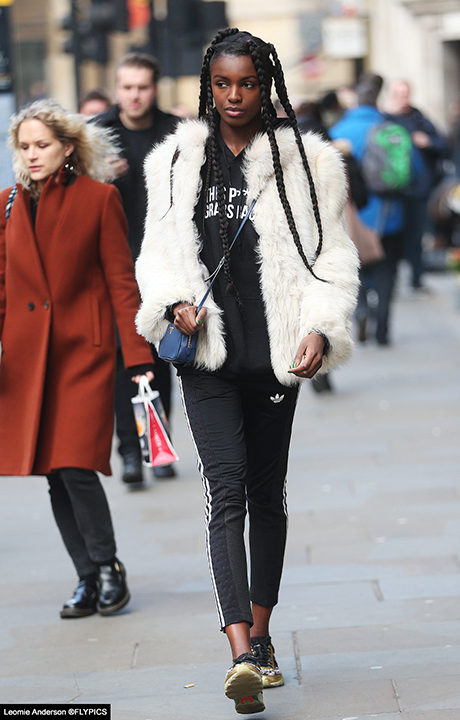 LAPP stands for ‘Leomie Anderson the Project the Purpose’. The striking model was snapped recently in central London (above). 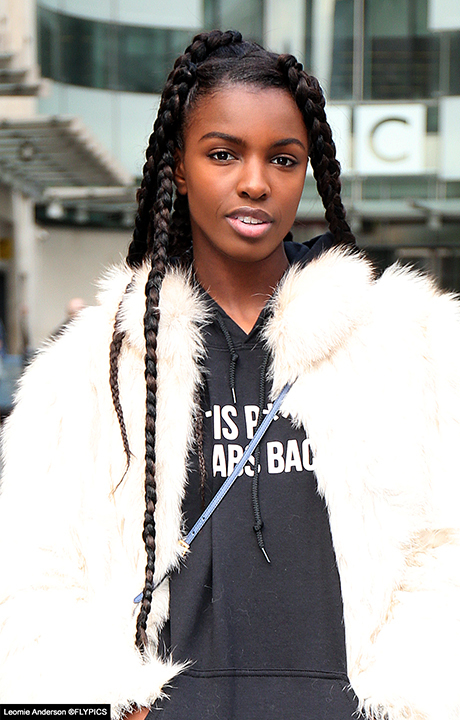 Striking International model Leomie Anderson pictured at the BBC studios in London in January.